Our technicians are qualified to work on every brand of air conditioner on the market today and many no longer made. When you need air conditioning and heating repair, so we’re available to assist you 24 hours a day. We’re committed to customer satisfaction. We always do whatever is necessary to get the job done right on your air conditioner. When heater repair isn’t enough to get your comfortable again in your home, trust us for a new heater from the best brands around. Whether your old system had completely gone bad or simply doesn’t work as well and as efficiently as it once did, we can help. Small problems can become big when not handled quickly, even causing catastrophic failures that could have been prevented. 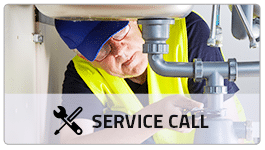 DEVARD’S offers affordable, reliable, energy-efficient, commercial and residential plumbing, air conditioning, heating and air conditioning units for the Dallas - Ft. Worth area with our “100% customer satisfaction policy”, which is our company motto and what has led to our success. 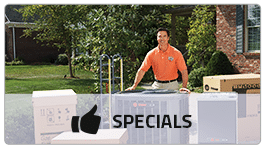 We service and install recognized quality brands, and are Trane comfort specialists. From furnaces and central air to humidification and filtration systems, we cater to every style and budget. 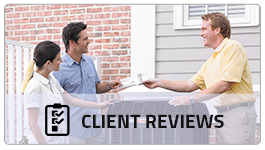 Our courteous and knowledgeable professionals work with you closely throughout the process, discussing the pros and cons of a system given the unique construction and environment of your business or home, and provide personalized solutions. Since 1968, we've helped Plano, TX residents keep their homes comfortable and energy costs down. We are fully licensed and insured. Our durable, long-lasting, high-efficiency units come with industry-leading warranty options. We'll find the option that is right for you and your budget today! 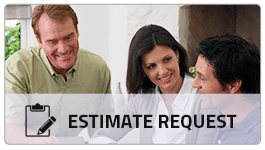 For more information and to request a free no obligation quote, call us today at 972-422-1505. "My wife and I were very satisfied, with DEVARD'S. We selected a contractor after getting four different bids. We were impressed with DEVARD'S teamwork and positive attitude by the installation team. My wife commented on the neat appearance of the workmen when they arrived and the conscientious way they cleaned up. Our installation was quite complex for a residential system and the contractor managed to finish all the work in one day, busy day. We have already begun to recommend DEVARD'S to our neighbors."